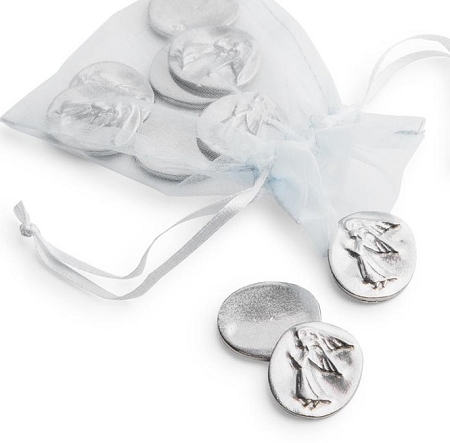 Set of 5 pewter angel pocket tokens, to accompany you and your loved ones wherever you go. Show friends and family how much they mean to you with a cast pewter angel pocket token. Handmade in USA. Set of 5, measures 7/8"W x 1"L.